Dr. Tracey Sutton presented what Nova Southeastern University is doing to expand deep ocean exploration. Dr. Guy Harvey was the keynote speaker, and made his case for funding more shark research in the Marine Research Hub. A view of some of the luxury yachts Thursday morning at the Ft. Lauderdale International Boat Show. Something much larger than a luxury yacht was unveiled at the Fort Lauderdale International Boat Show on Thursday. 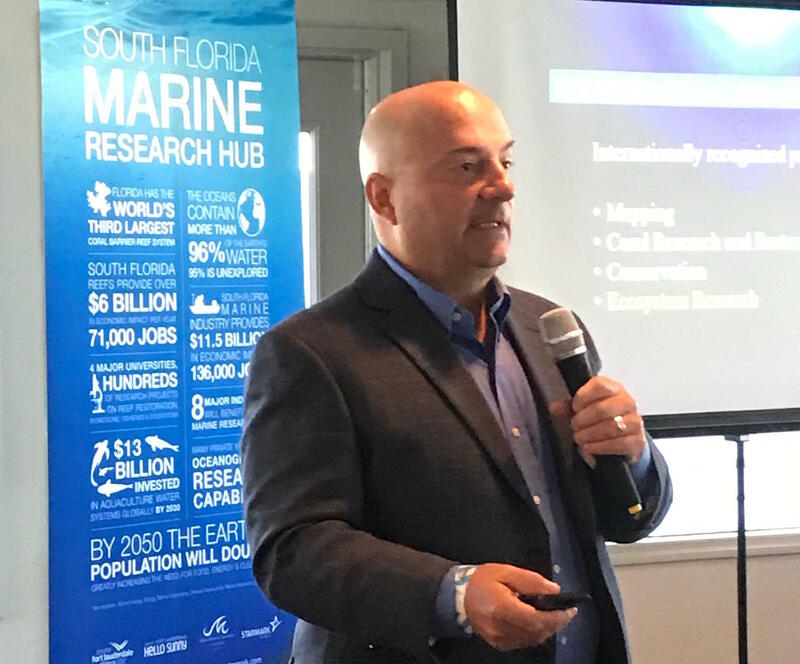 South Florida’s new Marine Research Hub hopes to make the region the next Silicon Valley or Durham Research Triangle for marine sciences. Hear from the man who came up with the idea for the Marine Research Hub, and Dr. Guy Harvey. 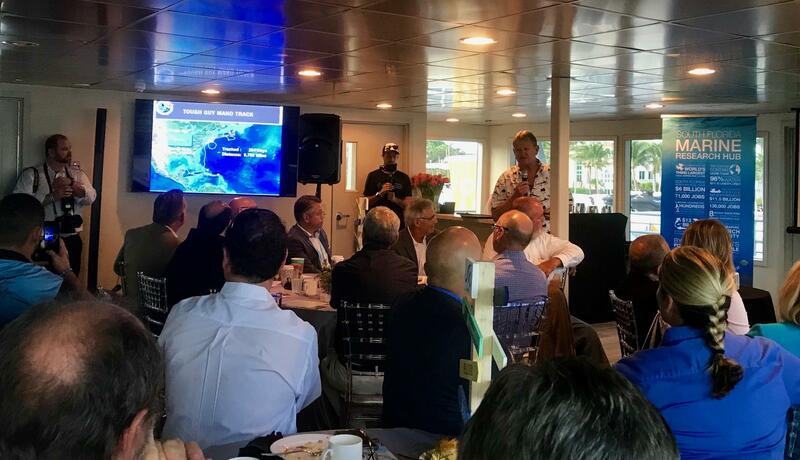 The eight founding partners of the Marine Research Hub gathered at a breakfast with members of the science and boating communities to announce the launch of an official collaboration between South Florida’s universities. Bob Swindell, the CEO of the Greater Fort Lauderdale Alliance and one of the partners, said the whole point of this partnership is to brand universities and connect the researchers to funding. “If you’re spending $20 million on a yacht, you’ve got some skin in the game for a healthy ocean. 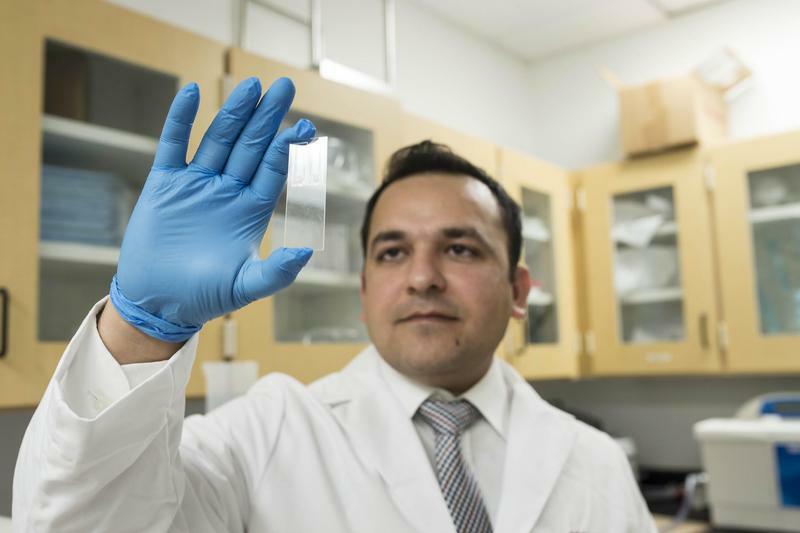 So we think it’s a natural community that’s going to support this research,” he said. 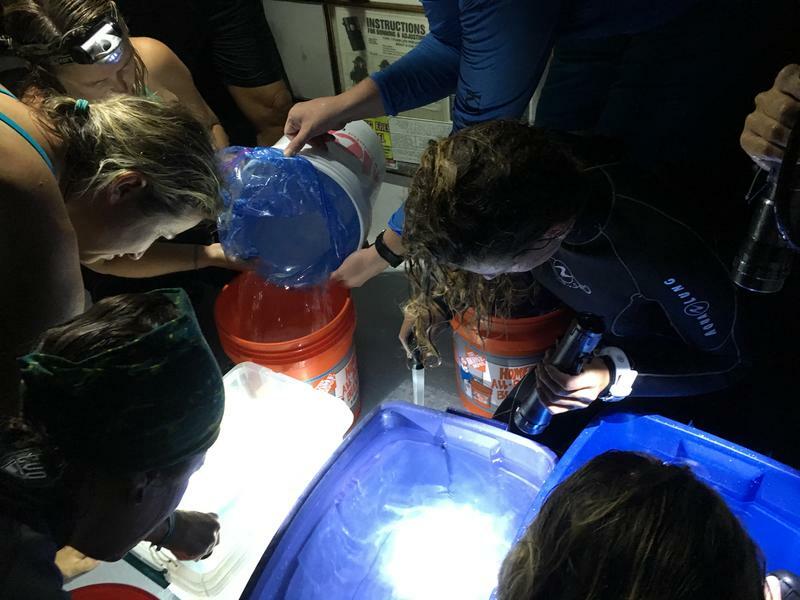 Florida Atlantic University, Nova Southeastern University, Florida International University and the University of Miami, which all have oceanography programs, are the four universities that have formally agreed to share resources and help get the word out about each other’s projects. Dr. 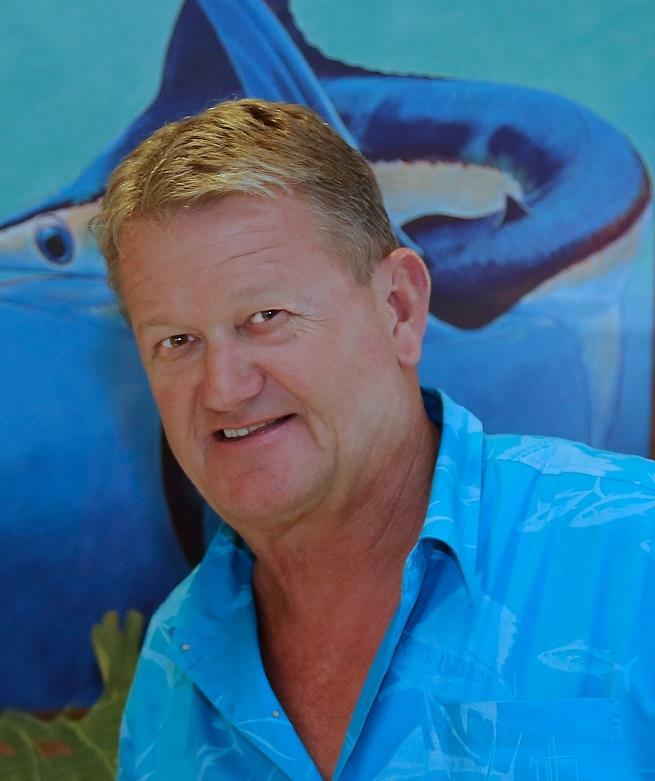 Guy Harvey was the keynote speaker, and is passionate about the future of marine science in South Florida. The other partners include the Miami-Dade Beacon Council and the Business Development Board. Phil Purcell came up with the idea for this consortium two years ago. “Warren Buffett challenged everyone to give half their wealth away, especially the Forbes list members. A lot of Forbes members own big boats,” he said. 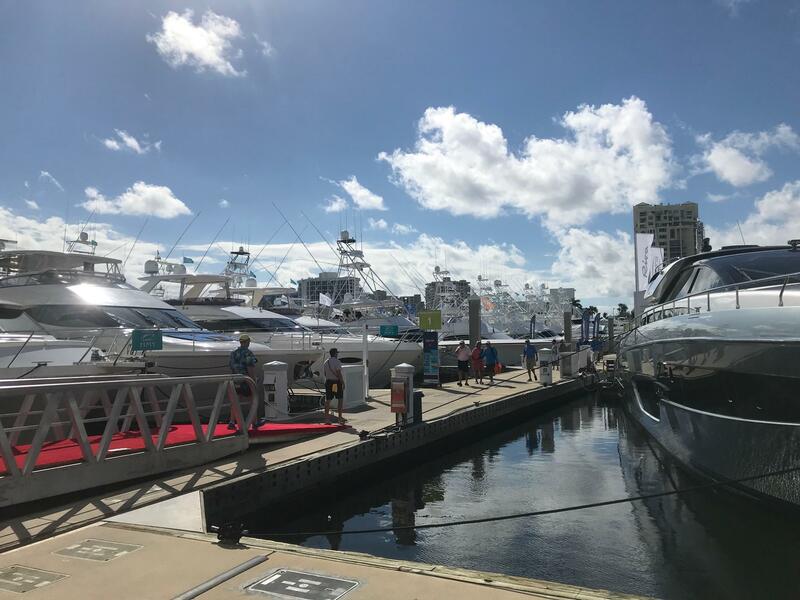 Purcell is the CEO of the Marine Industries Association, the owner of the Fort Lauderdale International Boat Show and one of the eight partners as well. Some of the boating philanthropists who’ve already put their names behind the partnership include Dr. Guy Harvey, who was the keynote speaker during the breakfast. Harvey is a marine wildlife artist and conservationist. His illustrations are popular on fishing apparel. “The real important aspect is to get everybody on the same page so that they’re not competing for research projects. There’s no duplicity ... because there’s a lot of work to be done,” Harvey said. 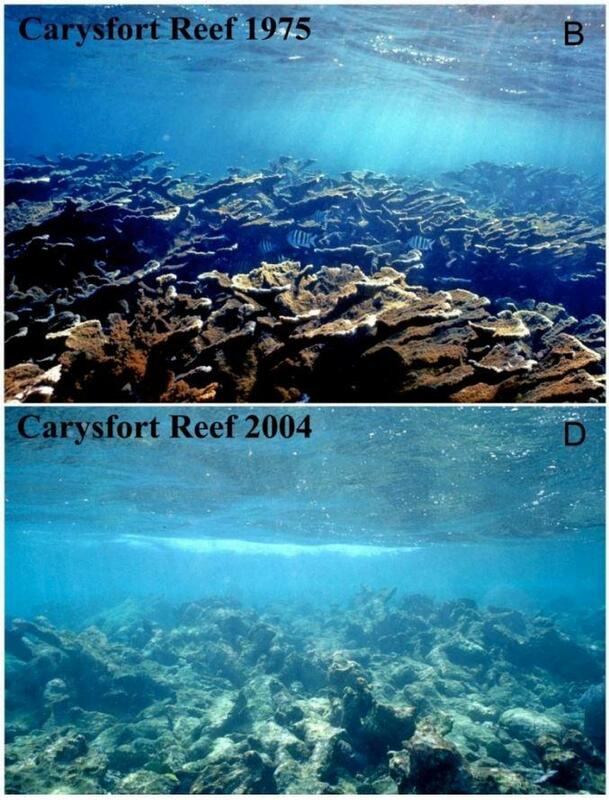 The lead scientist on a study that surveyed the health of Caribbean coral reefs over 50 years says climate change is not the most severe threat facing coral reefs. The Florida Keys reef is among the unhealthiest reefs in the Caribbean, said Jeremy Jackson, who grew up in South Florida and first visited the Keys in the late 1940s.